Failure to plan is a plan for failure. Surely, you have thought of some of these questions: Who will manage my estate? What happens if I become incapacitated? How can I avoid the costly probate courts? How can I protect my loved ones from creditors, in-laws, and the government? NOW, it’s your chance to take action to create or update your estate plan! Join us for a hands-on workshop to get your final affairs in order. 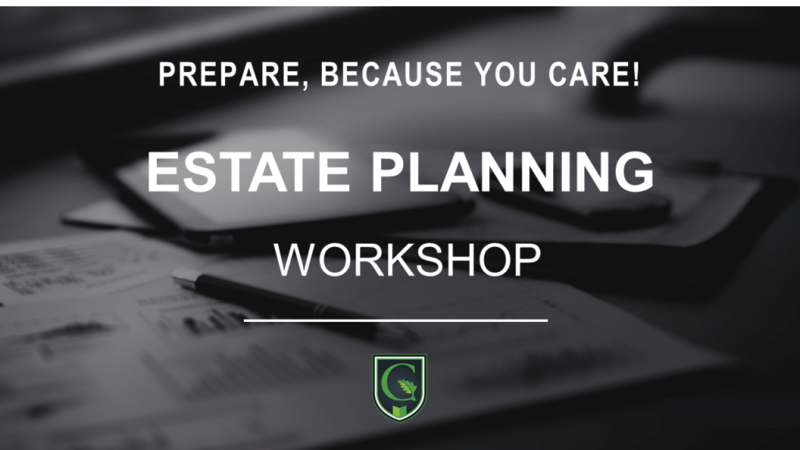 By the end of our workshop, you’ll have answers to all these questions along with a workable estate planning roadmap. Take control of your family's future today! Please register early, since space is limited at these workshops!